Joy of India is neatly tucked away in the new Brickworks shopping complex. 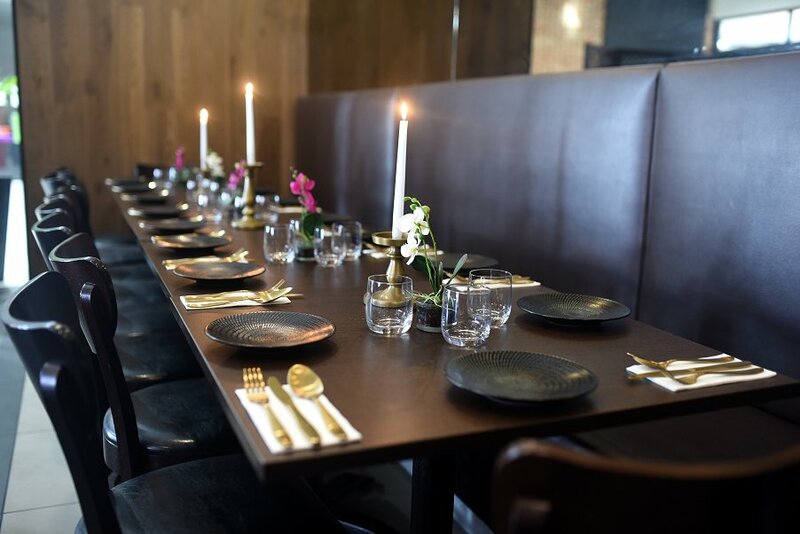 Warm and inviting, the bronze toned restaurant makes you easily forget you’re inside a shopping mall. 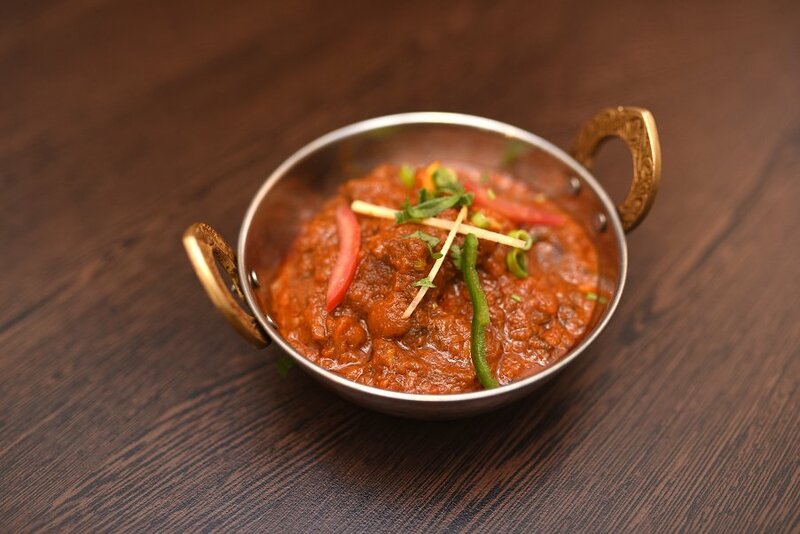 It has a comprehensive menu with all the Indian classics, as well as a few house specialties. Owner/Chef Sam takes great pride in his restaurant and culinary skills. All the dishes are cooked to order with fresh ingredients and it is evident that Sam ensures the flavours in each dish are meticulously balanced. I started with the Mixed Vegetarian Entrée. 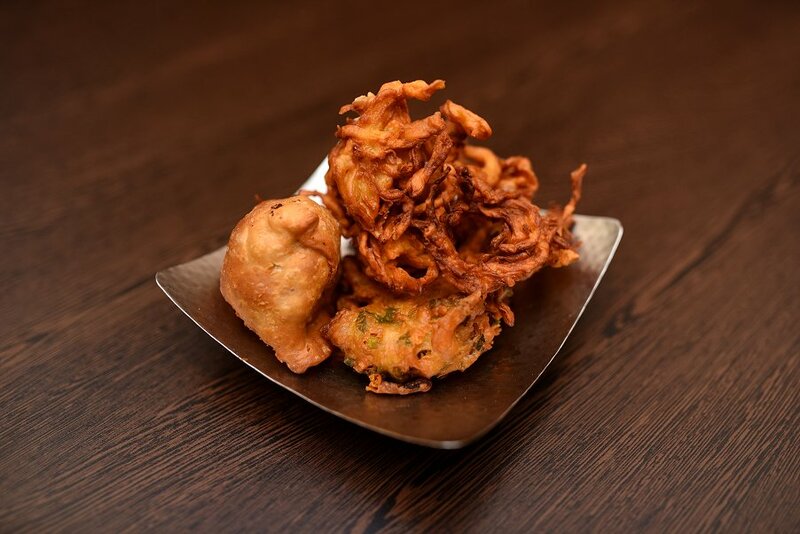 A trio of the vegetarian starters; Onion bhaji, Pakora and Samosa. The puff pastry samosa and had a strong peppery tone in its stuffing of potato, coriander and pea . The pakora fritter was filled with vegetables, retaining a fresh taste within its chick pea batter coating. Curls of battered onion bhaji, deep fried until crunchy completed the starter. While all components were delicious, they were a little dry on their own but with the addition of the raita it rounded the dish off nicely. As always, I ordered the Beef Vindaloo for main course. On seeing the vindaloo set on the table with its dark red gravy I thought it would be super-hot. The aggressive colour however, was caused by tomato paste not fiery chilli. While I was disappointed in the level of heat, the complexity of the sauce brought different tastes to the palate, the intensity of the vinegar increasing as time passed. In the spirit of trying something new I selected the Bhuna Lamb. Described as possessing flavours of ginger and mint with Sam’s secret spices the flavour was a bit fruity, slightly sweet and earthy. I’m not sure what Sam’s secret spices are, but they combined to make a delicious gravy that paired with the delectable, tender lamb. 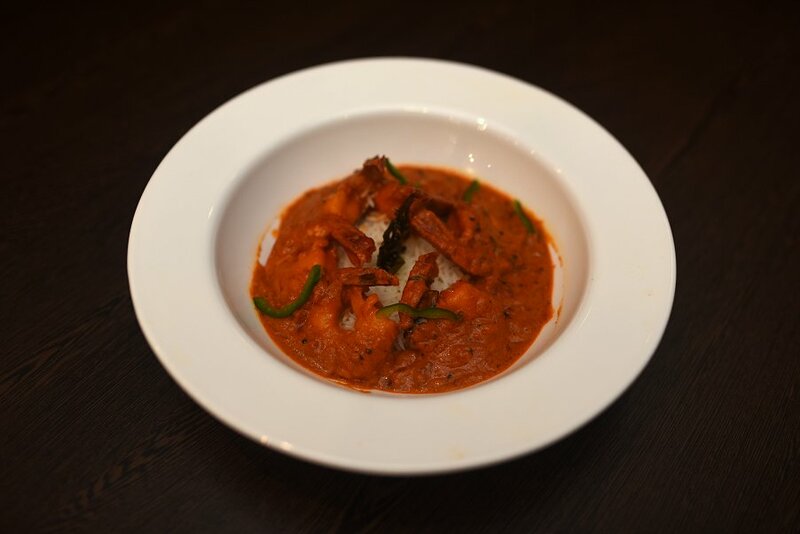 The King Prawn Goan was a delightful dish of juicy prawns in a creamy tomato curry sauce. Very delicately spiced and balanced this is a dish that would appeal to many. 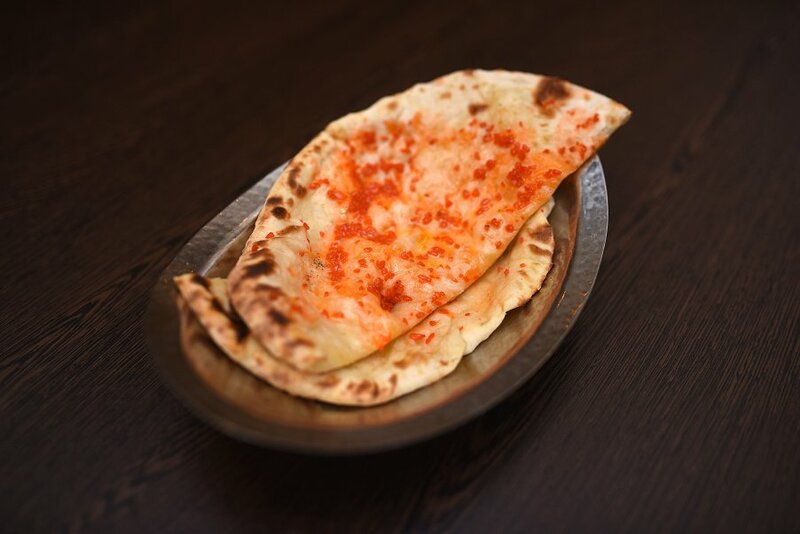 No Indian feast is complete without a side of naan bread. After trying a few, the winner was the Cheese and Garlic Naan. Having just enough cheesy ooze with only a little oil and signature orange coloured studs of garlic. The garlic was pungent but not harsh and raw or bitter and burnt, more of a roasted earthy flavour. There are two options for dessert. Both traditional Indian sweets and both hit the mark. 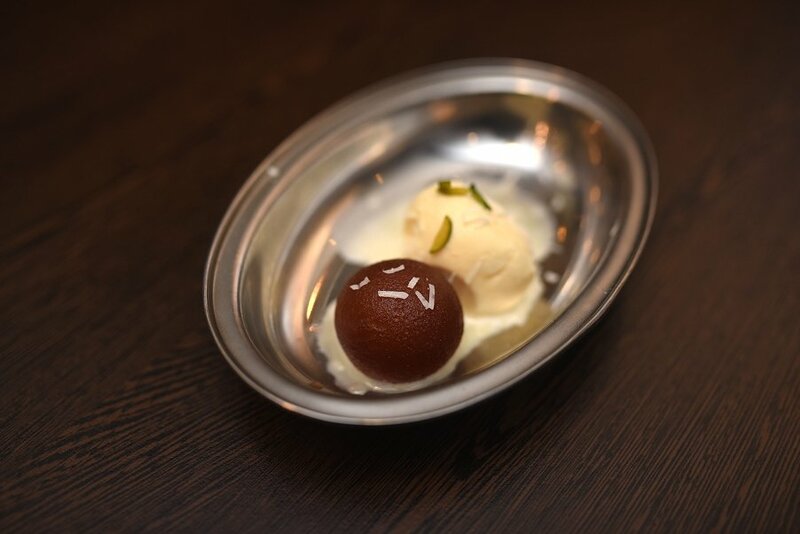 A single ball of Gulab Jamun was served accompanied by scoop of vanilla ice-cream. The Indian style dumpling, soaked in a fragrant cardamom syrup was a perfect ending to a rich meal. 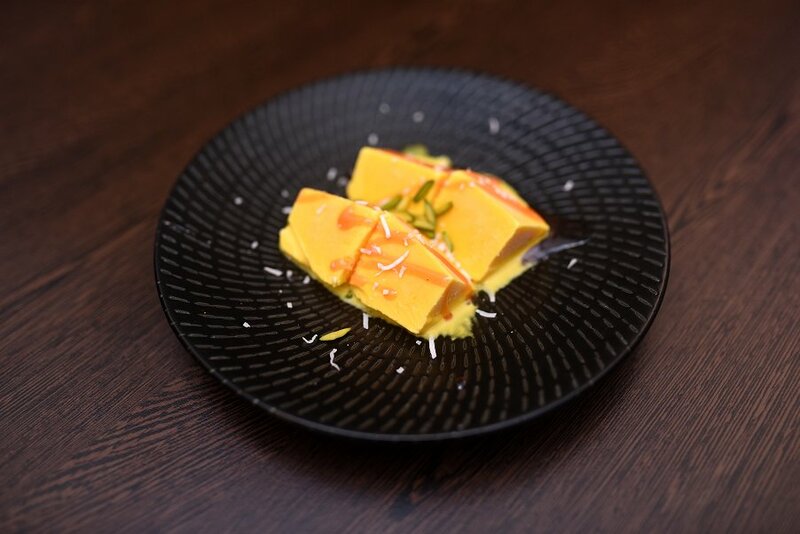 Alternatively a Mango Kulfi packed a vibrant fruity flavour in the frozen dessert. Topped with pistachio and coconut the kulfi was bright and refreshing. 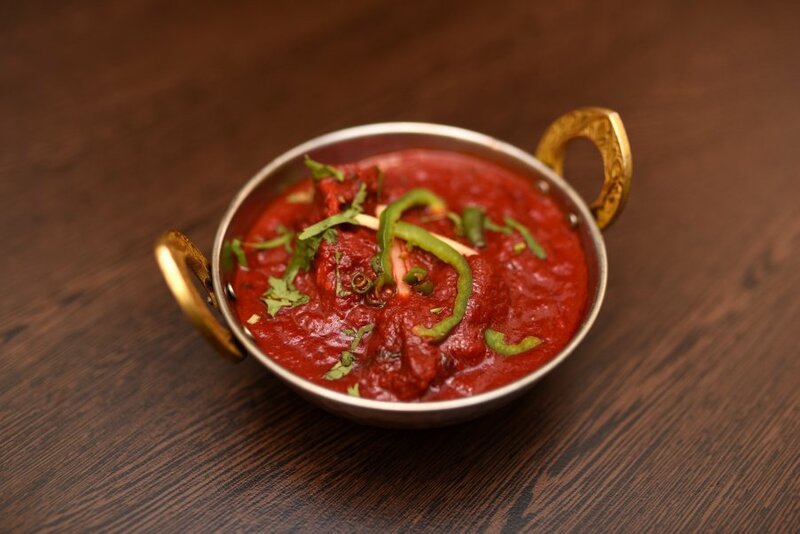 With all main courses priced at under $20 Joy of India offers incredible value for money. It should be noted on this occasion I was dining in a party of 18 people and the kitchen did an incredible job of getting all our entrées and mains out at the same time. Not an easy task, especially when you consider that all meals are cooked to order. I heard nothing but rave reviews across out table and we all agreed that dinner at Joy of India was indeed a joy.